The Westphal College of Media Arts & Design offers three online graduate programs in Arts Administration & Museum Leadership, Retail & Merchandising, and Television Management, along with a wide variety of online classes. Also offered as a hybrid program, in collaboration with the Drexel University College of Medicine, is an MS in Biomedicine and Digital Media. 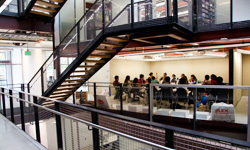 Known as an academic center of excellence, entrepreneurship, and innovation, Drexel University has been a pioneer in distance education for working adults. Today, nearly two decades after launching its first online courses, Drexel offers more than 150 online degree and certificate programs, using the same accredited curriculum and distinguished faculty as it does on-campus.